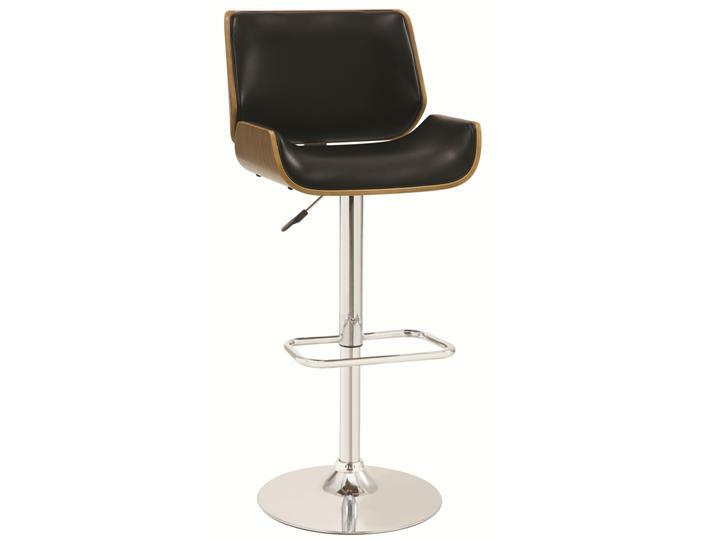 This bar stool features a leather-like inside back and seat. The outside is made of a distressed wood. Meanwhile, the silver-colored base has a foot rest. 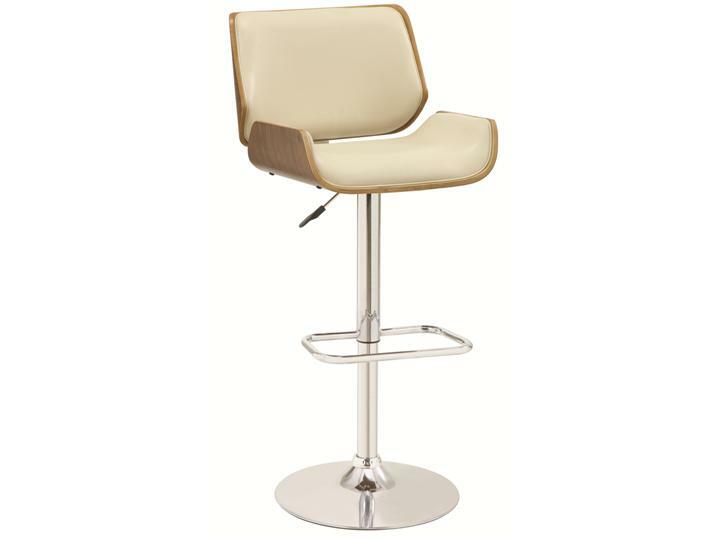 The base is adjustable - it starts at 37-inches high and can be adjusted to 43.5-inches tall.